The Midway is sleek, low profile and elegant and looks equally attractive on jeans, khakis and shorts. Designed the same way as the Malicorne, The Midway has its adjustment holes underneath making for a very clean and uncluttered look whilst the belt is being worn. This belt comes in 1”, 1.25” and 1.5” wide and is finished to the same exacting standards as the rest of our belts. 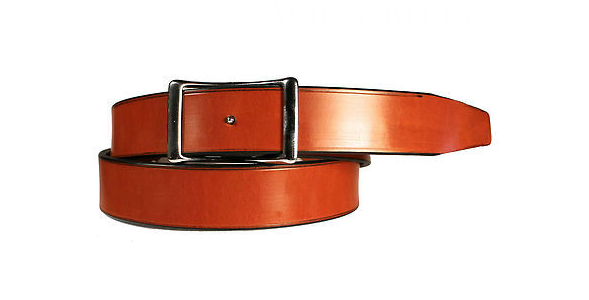 "Bypass" buckles such as these allow for different colored straps to be swapped out and worn with the same buckle. Additional straps can be ordered. Prior to ordering, please measure your existing strap width and note the stamped size (length) to ensure that you receive the correct strap for your buckle. To order additional straps, please go to the Resizing & Extra Straps section on the Products page.